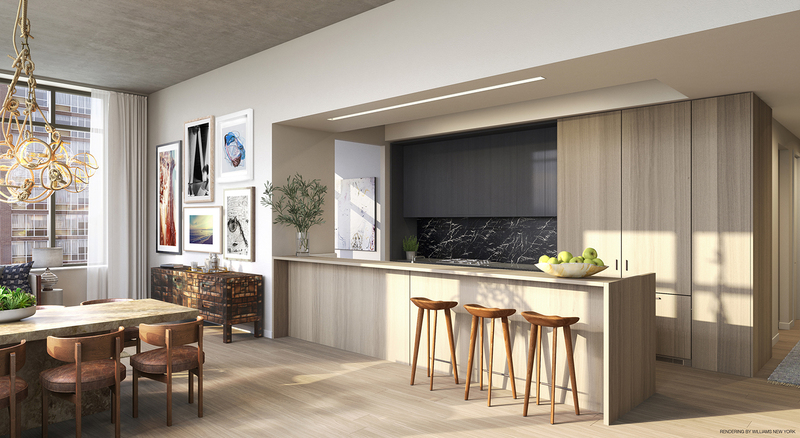 The Lower East Side is in the midst of a new era of transformation. 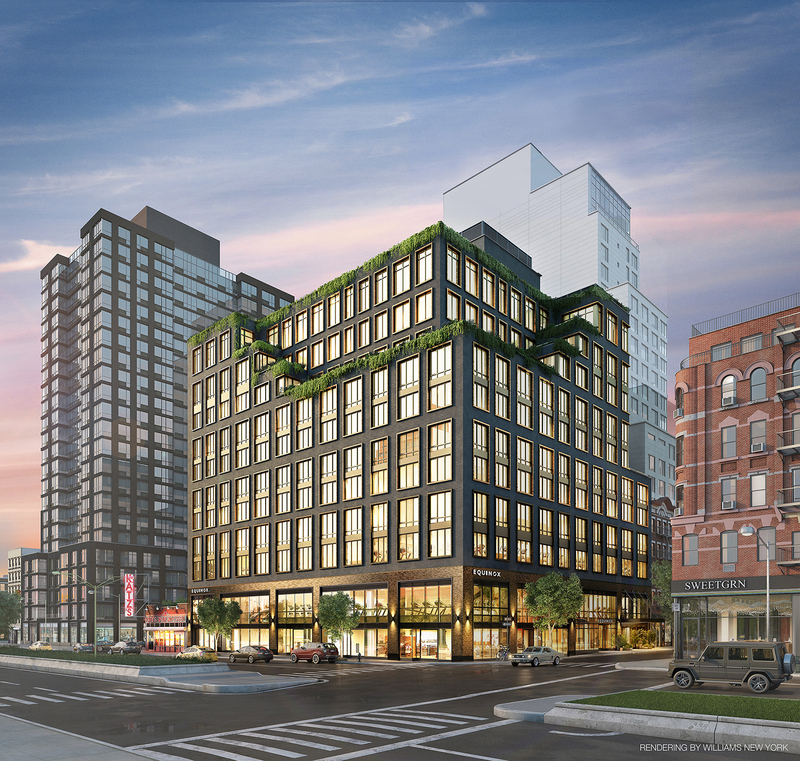 The Streit’s Matzo Factory has moved, construction of Essex Crossing is humming along, a neighborhood-wide beautification project should reach its goal this summer, and the Lowline is moving forward. The Houston Street corner opposite an iconic deli is also getting a new neighbor, and now there’s a new look at that project. 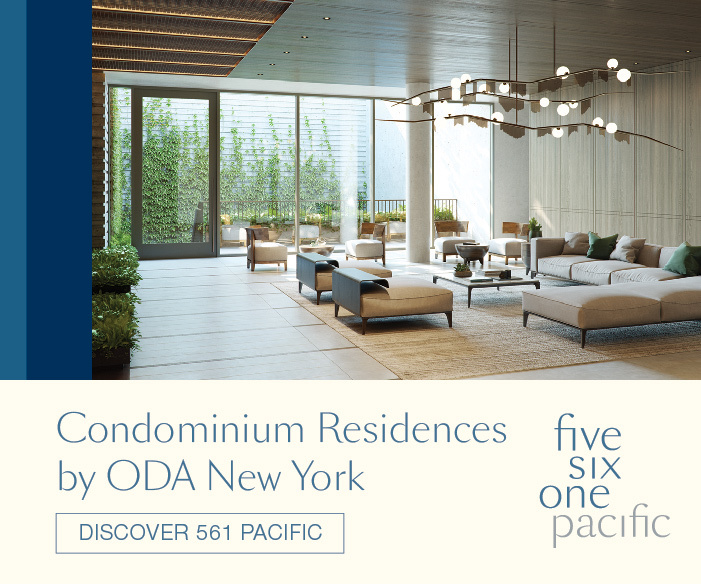 The address for that development is 196 Orchard Street, with the project going by simply “196 Orchard,” and YIMBY has exclusive new renderings of it. 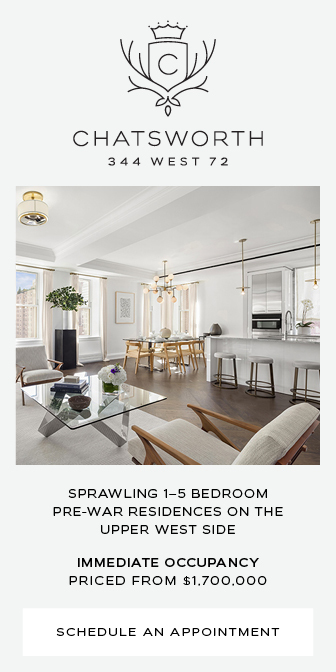 The developers are Ben Shaoul’s Magnum Real Estate and Michael Miller’s Real Estate Equities Corporation. 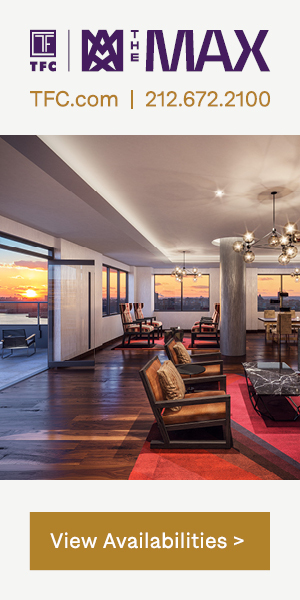 The building, designed by Ismael Leyva Architects, will rise 11 stories and contain 94 condominium residences. 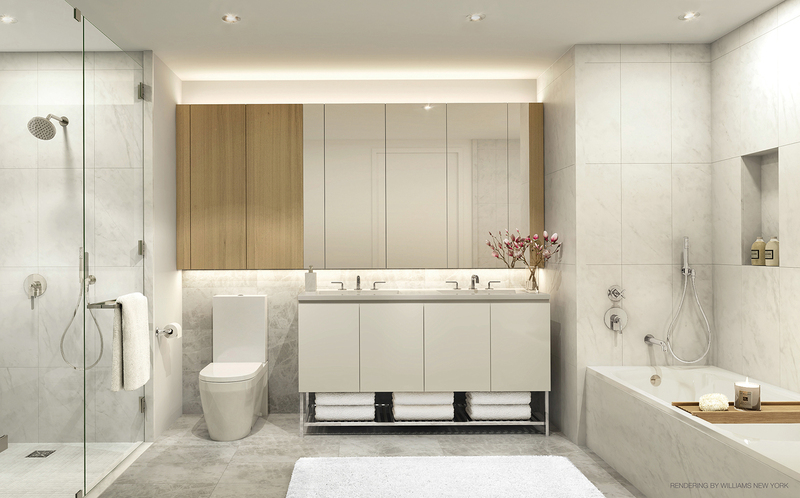 Incorporated is designing the interiors. 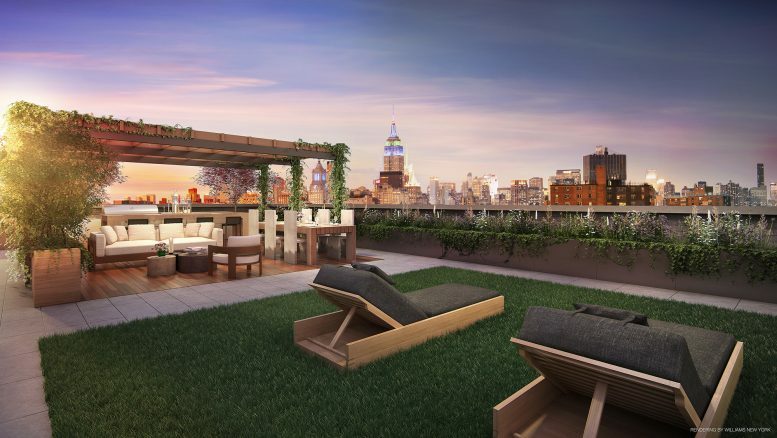 Some residences will have private courtyards and terraces. 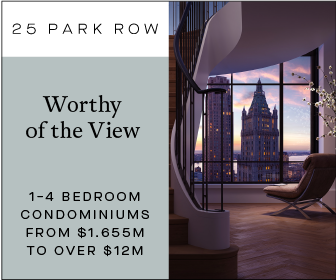 Amenities will include a landscaped roof terrace and sundeck (seen at the top of the story) and a 24-hour doorman, as well as bicycle and personal storage (for a fee). The building will also have two retail spaces on the ground floor and a two-floor Equinox Fitness Club. The 2nd Avenue stop on the F train is also only about a two-minute walk, and Katz’s Delicatessen is next door. 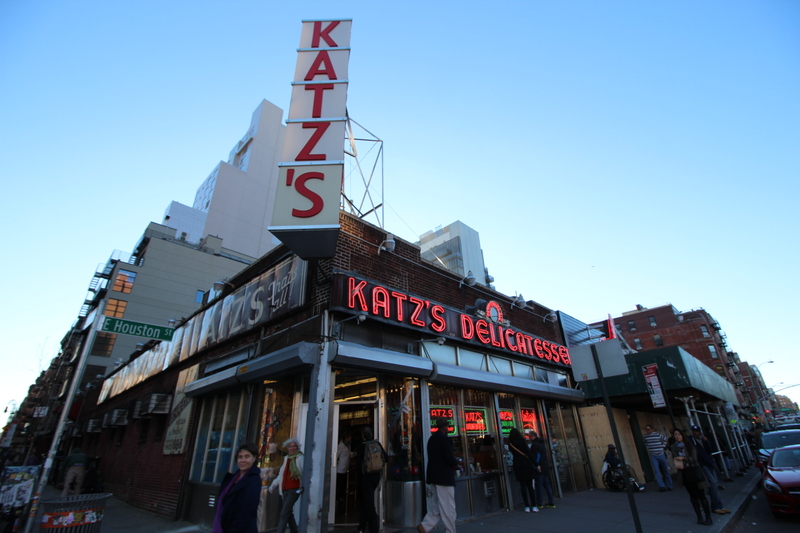 The project benefits from air rights from Katz’s. As YIMBY reported last month, steel is already rising on the site. Closings are expected in spring of 2017. 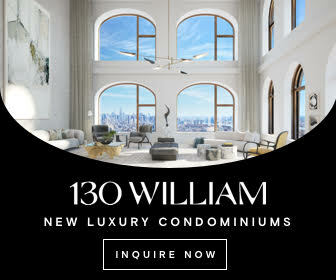 1 Comment on "New Renderings for 196 Orchard on the Lower East Side"
Wide view in the city with skyscraper at night, light show on each tower very amazing for me.